BWD(TM) has continuously been recognized as having a "VAST" Movement with an undeniable force. Since 2001, BWD(TM) is the #1 Source when it comes to creating that "Major" Buzz notability, while kicking the doors in for people trying to get recognized in their industry. 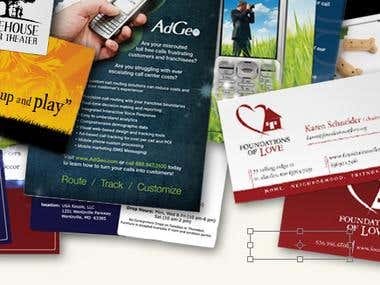 BWD(TM) "Proudly" provides over a decade (11 years) of knowledge and expertise to individuals, music and entertainment industry professionals and various businesses ready to center their marketing campaigns, in the use of social media; to publicize them and connect with consumers. BWD(TM ) "IS" at the TOP of Specialists in Social Media Experts, Networking Professionals, Internet Marketing and Promotions Strategists. The Social Media Strategists "Specializing" in Social Media Marketing, Social Media Site Promotions, Article Marketing & Professional SEO Article Writing Services, Blog Marketing & Promotion, Enterprise Social Networking, Social Media Networking, Social Bookmarking, Internet Marketing and Promotions, as well as, Search Engine Optimzation (SEO) Meta tags (including Facebook Open Graph tags) search terms and keywords, Press Releases, Artist Management/Artist Development Services, Public Relations (PR), Music Promotion and Radio Airplay/Interview Promotions. BWD's decade of knowledge and expertise covers an even "broader" scope; that will continue to grow, in years to come. 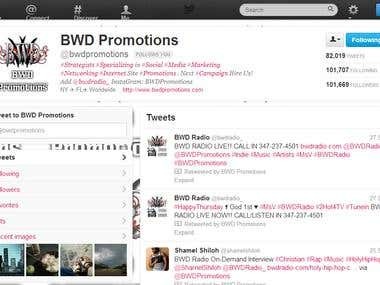 BWD(TM) TEAM SITES BWD Promotions - Social Media Strategists "Specializing" in Social Media Marketing, Social Media Site Promotions, Article Marketing & Professional SEO Article Writing Services, Blog Marketing & Promotion, Enterprise Social Networking, Social Media Networking, Social Bookmarking, Internet Marketing and Promotions, as well as, Search Engine Optimzation (SEO) Meta tags (including Facebook Open Graph tags) search terms and keywords, Press Releases, Artist Management/Artist Development Services, Public Relations (PR), Music Promotion, Radio Airplay/Interview Promotions. 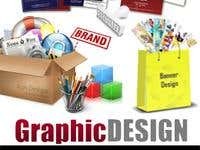 BWD Graphics - Specializing in Website Development, Content Management Systems, eCommerce Solutions, Search Engine Optimization (SEO), Website Maintenance, Program Installations, Video Duplications (Create and provide a copy of your pre-recorded videos i.e., YouTube), Movie/Video & Audio Presentations or Slideshows, Press Kits and Graphic Design. 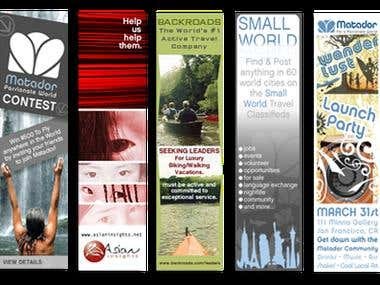 (We do not provide printing services, however, any job that requires graphic design work, no matter how big or small, we can assist you while providing reasonable prices). 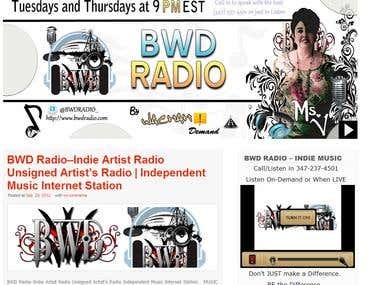 BWD Radio - Home of the Indie & Major Indie Artist. 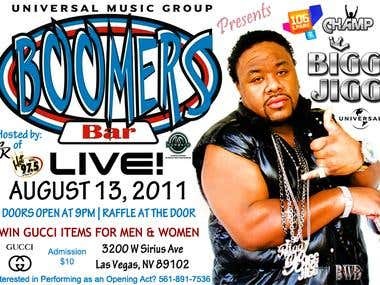 ALL Genres of Music are accepted. 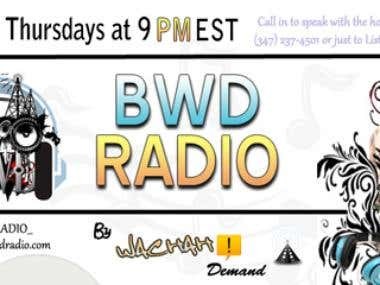 BWD Radio is all about Diversity, Unity and the Indie Artist. 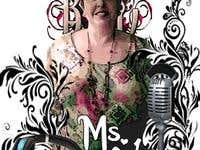 BWD Radio supports the Indie Artists' by providing them with an opportunity to be seen and heard. 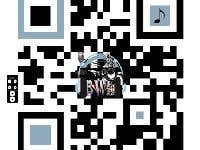 BWD Radio also provides Press Releases, Artist Management/Artist Development Services, Public Relations (PR), Music Promotion and Radio Airplay/Interview Promotions via inclusion of their sister site BWD Promotions. "Changing The World, One Voice At A Time." BWD(TM) works hand-in-hand, while Networking & Managing New Account Set-ups, including their own. United in moving forward, to ensure continued success. "It's that first spark, that lights the fire." 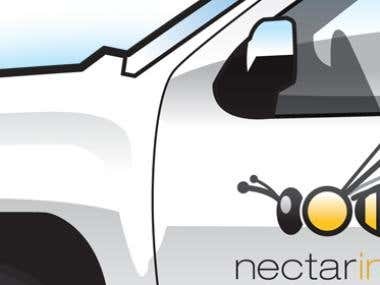 A record label associated with the marketing of music recordings and music videos. 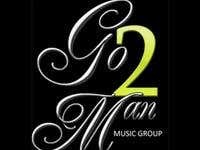 Manages all genres of music brands and trademarks, coordinates the production, manufacture, distribution, marketing and promotion, and enforcement of copyright protection of sound recordings and music videos; conducts talent scouting and development of new artists ("artists and repertoire" or "A&R"); and maintains contracts with recording artists and their managers. ARTIST MANAGEMENT: WHEN DO YOU NEED IT?